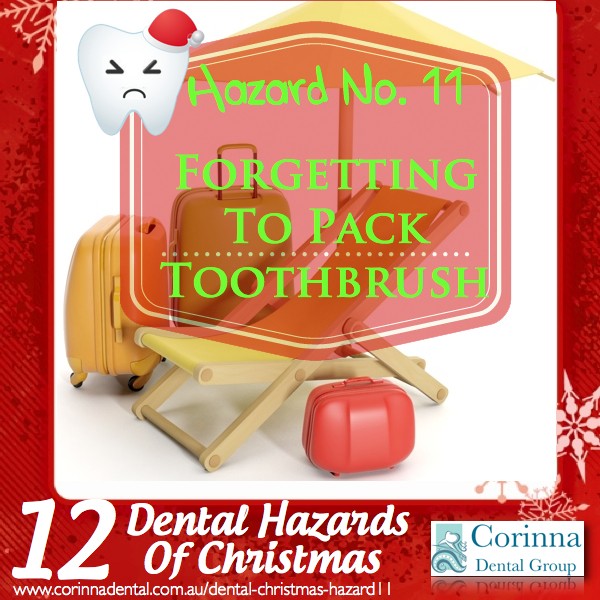 It’s one of those things some of us are guilty of—packing everything needed for your trip away, only to find out you failed to include your toothbrush or floss! If your holiday destination is somewhere urban, then you’ll easily be able to remedy this situation. It’s a quick trip to the shops and all is okay. If you’re camping in the wilderness this situation is more difficult to resolve! You might want to avoid sugary foods, and rinse your mouth with water carefully after meals. You might even want to revert to making an old-fashioned toothbrush: the chewed end of a stick! Just be very careful when using this type of tool to clean your teeth! Having a travel toothbrush and toothpaste kit in your bag avoids the hassle of having to spend the night with an icky feeling of not being able to brush your teeth— and waking up with an even ickier feeling of having morning breath!